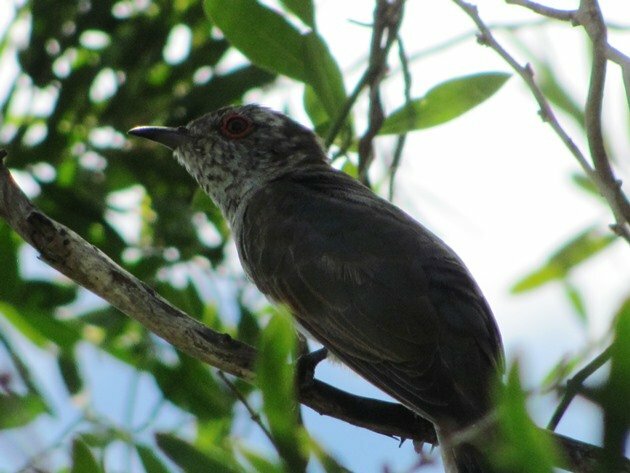 The Little Bronze-Cuckoo, Chalcites minutillus or Chrysococcyx minutillus depending on your field guide is one of those birds that you will hear a lot more often than you will see. 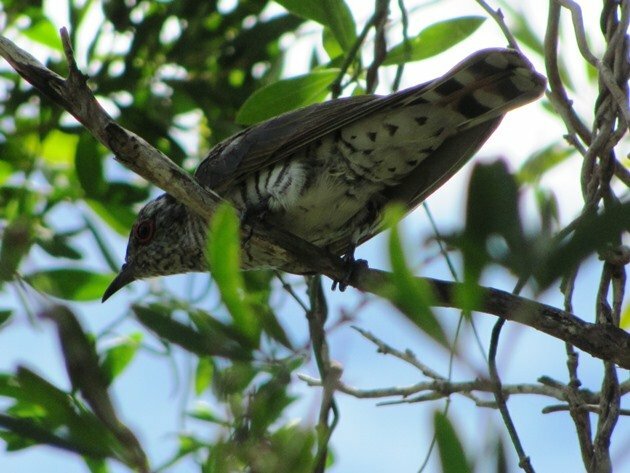 It is the smallest cuckoo in Australia and is found across the north and eastern Australia. 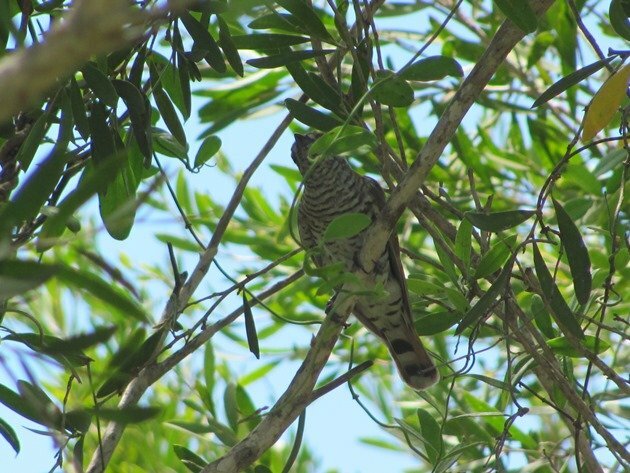 Each cuckoo in Australia has a distinct call and once you listen to how many notes there are and whether it is ascending or descending you will have a grasp on which one you are hearing. 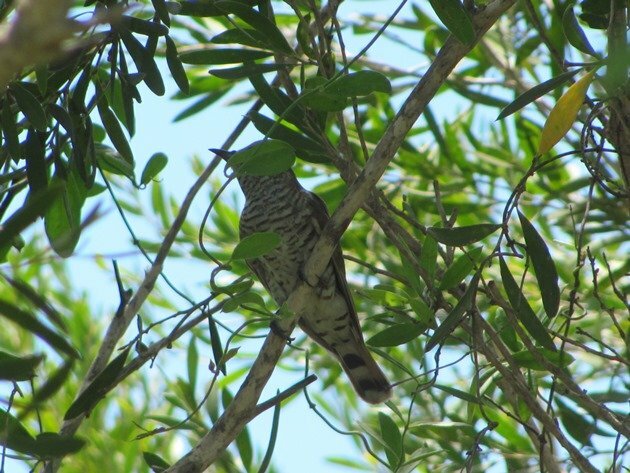 They often sound frantic as they call and the Little Bronze-Cuckoo has four or five notes which are descending. 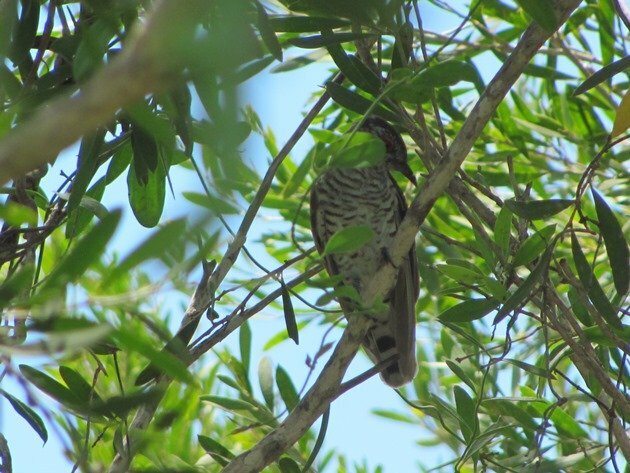 Usually you are content with the sound of them and if you are lucky you are actually able to find them in the mangroves or paperbark trees. The photo above is usually what you are able to get….if you are lucky! Other times you are able to get something like below…..you are happy….you saw the “red eye-ring” and the species is truly confirmed. 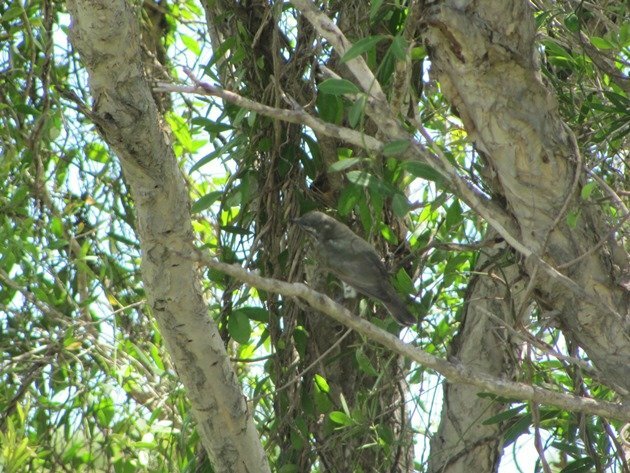 By chance there were two Little Bronze-Cuckoos in the tree and I was able to get some half decent photographs of the species. 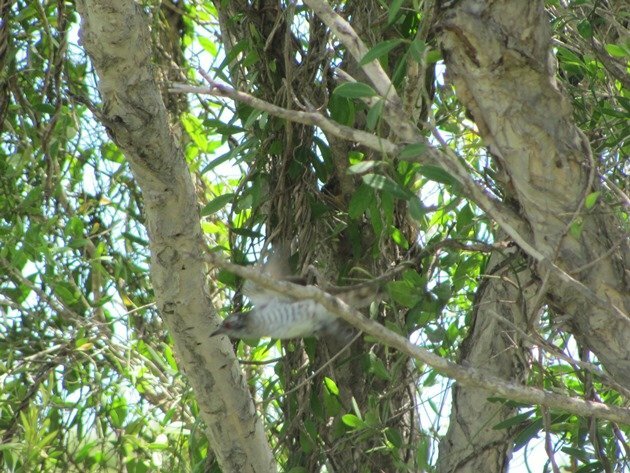 Of course the camera wanted to focus on the leaves and the Little Bronze-Cuckoo was trying to hide either its red eye-ring or block itself behind a branch, but I could take lots of photographs and hope for a miracle and just maybe I would get something to share. If there was a “Xmas miracle” last weekend it was hearing, then seeing and then photographing a Little Bronze-Cuckoo. Nothing better than a bit of red and green around Xmas!! We hope you all have a good Xmas and may you all have a “Xmas miracle”. 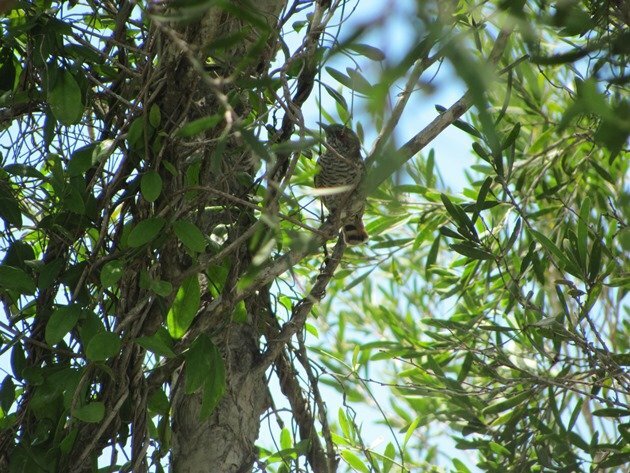 Fantastic photos of that elusive bird, Clare! And even in the red-and-green color scheme of Christmas.